The perfect place for a sunset, picnic or dance. Parc de la Villette always seems to have something up its sleeve. It was only in May that Villette Sonique - a series of free music concerts - was added to its already colourful programme. Now the Philharmonie has added another dimension to its already impressive building, with one of the most unique rooftops in the capital. 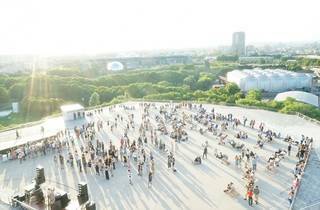 At 37 metres high with a 360° view, it's the perfect spot to see Invalides and the Eiffel Tower from afar. 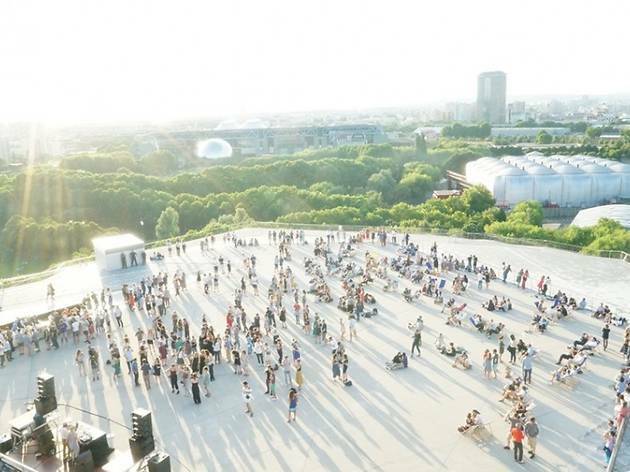 However, capacity is limited to 700-odd people and as you can imagine it will be very popular on a hot and sunny Parisian afternoon. But if you have the time to get up there, the panorama is well worth the wait.